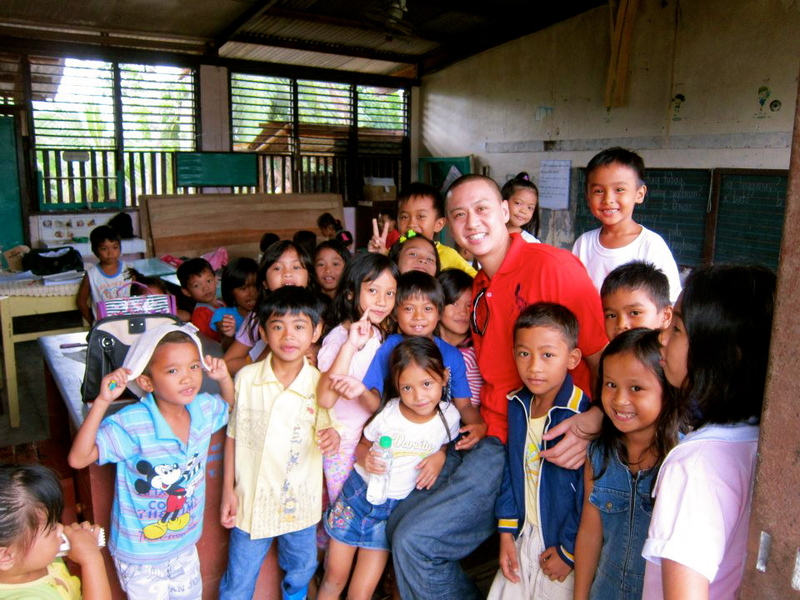 I recently caught up with fellow Fil-Am, Justin Garrido, of Social Project.PH. Justin’s a former director of Aldi Foods in the US and he received his MBA from Melbourne Business School. Now Justin is in the Philippines starting up, Social Project.PH. Justin is definitely a versatile and knowledgeable Argonaut. I always acquire a ton of knowledge from my conversations with him. I am honored to be able to share his story with what we Amboys call real talk. I’d like to introduce you to the passionate, change-maker Justin Garrido of Social Project.PH, one of the awesome startup founders scheduled to speak at Startups Unplugged. Justin: Social Project.PH is a crowdfunding website that features social projects in the Philippines by partnering with social enterprises and NGOs, as a means to address poverty and other social and environmental challenges. How did the concept for Social Project.PH come about? 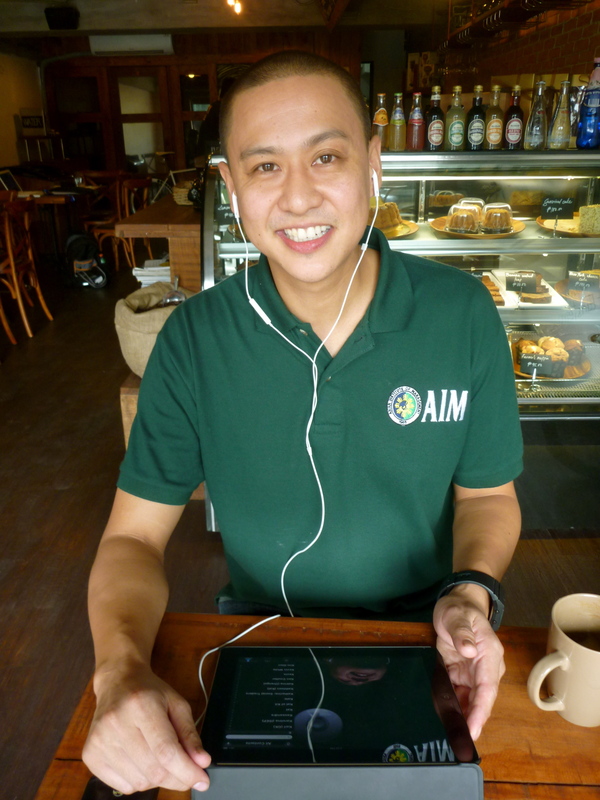 Justin: While I was in my MBA at University of Melbourne, I went on exchange at AIM (Asian Institute of Management). One day Julia, my co-founder, and I had lunch and we decided to start-up something social. Julia and I came up with different business models to support the current ecosystem. As opposed to creating something that would compete with the same small diminishing pie, we thought of ways to make the pie bigger, and collectively support the ecosystem. We eventually decided to launch a crowdfunding website known as Social Project.PH. My inspiration for Social Project was Kiva. I’ve avidly donated to Kiva, which provides microloans to small businesses. I felt that a type of platform like Kiva was something that we could provide to social enterprises and NGOs here in the Philippines. Another need that we felt Social Project.PH could fill in the Philippines was the need for a transparent, credible, and engaging channel to give back. For example, when you donate $25 to the Philippine Red Cross, you receive a simple thank you and that’s the extent of it. As a result, even though Red Cross is credible the experience with them isn’t engaging because you don’t here anything about your contribution afterwards. There’s no follow-up. If your contribution was for sacks of rice for a community, you never see the actual distribution of it. Transparency and follow-up is something that we wanted to provide with Social Project.PH. With all the buzz around Social Enterprise, can you give us your definition of it? Justin: I frequently refer to the definition of social enterprise from the non-profit known as Social Traders. It defines social enterprise as a social benefit business that trades to fulfill its mission. This means that there’s a target beneficiary (i.e. community with high poverty, nanays in an IP community, etc). There’s a strong social mission, but there’s also a way that the business is generating revenue, trade. The entrepreneur is selling a product or providing a service so that the business is sustainable. A social enterprise is within a third space. On one extreme you have maximizing profit, maximizing shareholder wealth, a corporation. The other extreme is a non-profit that relies strictly on philanthropy and charity donations. In between you have a social enterprise, in which it is almost a hybrid of a corporation and a non-profit. As a result, some funding may come from donations, but there’s also a revenue generation component to it; Hapinoy is a great example of a social enterprise. A social enterprise is not just about job creation. Exxon creates tons of jobs, but you wouldn’t call Exxon a social enterprise. Social enterprise is about a strong social mission and generating revenue. What inspired you to take the leap to the Philippines and pursue Social Project.PH full-time? Justin: In September of 2011, I lived in the Philippines for three months, while I was on exchange with AIM. However, I felt like my three months wasn’t enough time here. I wanted to come back. There was more that I wanted to do. There were more ways I wanted to help and give back. I needed to physically be here to experience commuting, meet the communities, visit the children’s orphanages. That’s why after I finished my MBA in July, I returned to the Philippines to pursue Social Project.PH full-time. Justin’s visit to a community in New Bataan Compostela Valley, where Typhon Pablo hit in December. On the business side, I had the confidence that the business idea for Social Project.PH would be financially viable. While I was back in Melbourne, I entered a business plan competition at Melbourne Business school. I ended up winning for this business model that is now Social Project.PH. Winning the competition further gave me confidence in what I was doing. The judges, composed of angel investors and investment bankers, were reaffirming that this idea could really work. Social Project.PH is not just a charity. The business model itself can generate revenue. It can be sustainable. In this day age, the voice of the third culture kid is coming more distinct. Do you consider yourself to be a third culture kid? Justin: I’ve been called different things: third culture kid, hybrid, foreigner, and Fil-Am. I’m fine with all the names. I know what I’m here to do. I’m trying to use some of the best practices I learned from growing up, studying, and working in business abroad to make a positive impact on the Philippines. What do you like the most about being in the Philippines? Or talks with the taxi drivers and joking around with them really makes my day. The positivity of the people is inspiring. In the midst of the adversity, Filipinos always manage to put a smile on their faces. In the States, we can get so caught up in the Rat Race, and then you get a flat tire and it feels like the end of the world, but being here puts things in perspective. Truthfully, if I could bring my friends and family to the Philippines. I wouldn’t have any desire to return to the States. I love the Philippines. The country is so beautiful and the history is so rich. I feel like I’m in the center of the world right now. Next PostJGL@THEBOBBERY PODCAST IS OUT! Are you attending Startups Unplugged this Saturday? Submit your questions for social entrepreneur, Justin Garrido of Social Project.PH on the JGL blog or via twitter (https://twitter.com/JuanGreatLeap). Don’t miss out on your chance to learn and know more! ASK NOW! I’m honor that u help a lot of less fortunate pilipinos out there . I’m looking forward to see u personally in the near future. 6. Arturo D. Tarrazona Jr. Thank you! for your invatation. Hi Sir Romano. Its nice to hear that Don Bosco MPC is doing great on exporting your organic black rice. I hope you could also help us, our group of organic farmers here in Mindoro Province. We are planting Organic black and red rice here. We want to have a chance of exporting too or we can just help you to export more volume of organic black rice to US and other countries. We can ship to you our products. And we also have cooperative here. Maybe you can help us. Thank you very much. Hi Sir Justin. Great job for helping Don Bosco MPC to export black rice. I wish you could also help our group of organic rice farmers here in Mindoro Province. They are planting organic black and red rice. I hope you you can still help us on exporting our product too.